The Binford Dance Company was established in 2016. 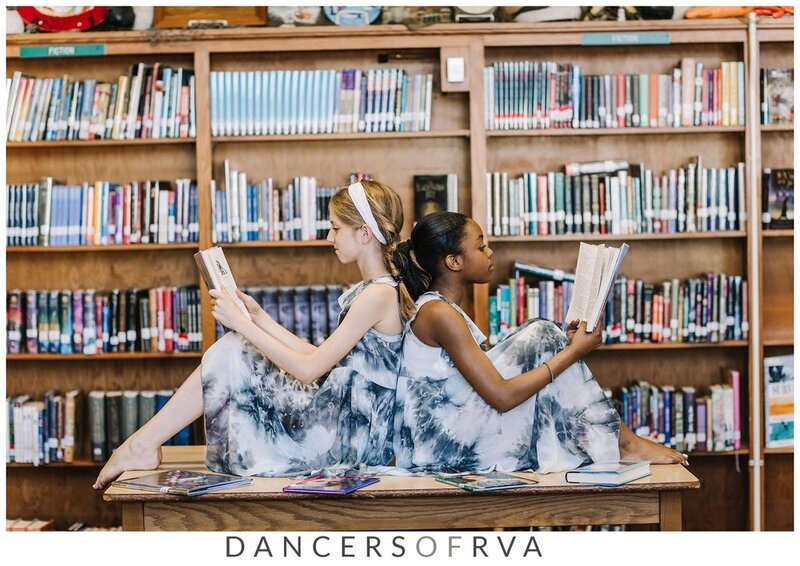 It is an audition based student dance company from Binford Middle School, an arts integrated school located in Richmond, VA. Company members study Ballet, Modern, Jazz, Improvisation, and Composition within the Binford dance program. The company has performed throughout the community including: The 2017 Superintendent’s State of the Schools Address, Generation Dream, Richmond Public School’s Fine Arts Festival, Turnaround Arts Richmond Press Conference, Appomattox Regional Governor’s School for the Arts and Technology, Petersburg Home for Ladies, and Cedarfield Retirement Community. Most recently they had the opportunity to collaborate with the School of the Performing Arts in the Richmond Community (SPARC) students to perform in the new Jason Mraz music video “Have It All.” The Binford Dance Company inspires students to find their own voice through performance and choreography while learning valuable skills in the rehearsal process including collaboration, respect, and confidence. Binford Middle School serves students in grades sixth through eighth from across the city. Our students come to us each day to learn what all middle schoolers need to know but they have a unique opportunity to learn in a different way. At Binford teaching and learning takes form through and with the arts whenever possible. Our teachers design lessons that allow for the exploration of their content area, such as math and pair it with an art form like dance, which makes learning fun and meaningful. When the math class gets to come to the dance studio to explore number relationships they get to involve their whole body. They get to learn vocabulary and skills in a new way which makes the learning stick. 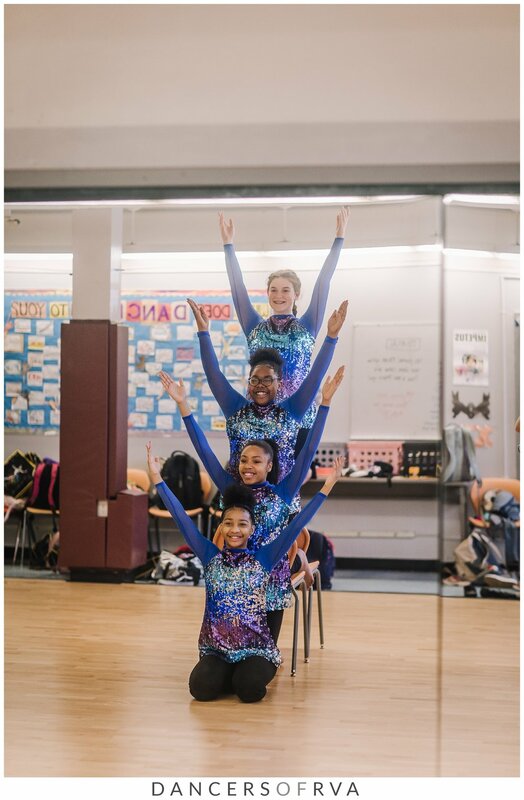 Because of our work to use arts integration to transform the learning experiences for our children we have been lucky to be included within the Turnaround Arts: Richmond program, a program of Richmond Public Schools, in partnership with the Kennedy Center. Binford belongs to a network of Turnaround Arts schools across the country that is using the arts to improve student learning, as part of a national program along with other federal and private partners. As a Turnaround Arts school we prioritize the arts and value the many ways it can truly turn around a school. We are tremendously fortunate to have an expert dance instructor in Lisa Perkinson. She founded the dance program in 2015 which was the first year of our arts integrated mission. In a short amount of time she has been able to establish a reputation for excellence with and among the dance students. Children who like dance but never had formal dance training are able to work with someone who can create a safe space for them to work alongside someone who’s been dancing all their lives. The power of dance is that it truly can be for every child to express every emotion and connect to every subject. Lisa embodies that power and shares it greatly with our school and community. "Dance is my passion, my happiness, and my life. Dance is who I am. I first started dancing when I was about five years old. My mom noticed my interest and so she signed me up for Ballet and I fell in love with dancing. Moving in a way I can express my emotions and curiosity to find my limit. Dancing has made the hard days easy and the sad times happy. Dance is what I’m confident in. Most of my emotions are expressed through Jazz, Modern, and Tap. I love challenging myself to choreograph my own pieces using my flexibility and how petite I am. My favorite genre of dance would have to be Modern because it’s so random and unique." "When I was little I used to take a dance class in Carytown. I remember doing my first recital there. Then after a year or two, the place shut down. So I went to a dance studio called The Latin Ballet of Virginia. That is when I found my true love of dance. Everyone there is like a big family and when I dance I feel like I can do anything. When I hear music my feet have to do something; I just can’t control it. There are many reasons why I love dance but one of them is I get to show my emotions. " "I like dancing because it’s fun. To be honest, I was a shy person and I was shy to dance in front of a crowd. Now I’m not shy anymore and I’ve been dancing for seven years. I’m eleven years old. Dance means so much to me. I wrote a poem that says “Dance is a feeling, not just something you do, it keeps you moving, it lives inside of you!” My favorite type of dance is Ballet. The turns are very fun and cool. I just love that style of dance. In the Binford Dance Company we do many types of dances like Modern, Jazz, Tap, and we even get to make up our own choreography. " "I knew I wanted to express myself through the arts; I just didn’t know which art. I grew up around art and music but they really didn’t click. So I signed up for an eighteen week elective; Dance. I found my love for dance and expression in that class. Next year I signed up for the full year elective dance. Ms. Perkinson, my dance teacher, encouraged me to audition for the Binford Dance Company. I auditioned, and out of fifty-three people, I was shocked when I was one of fourteen dancers who got in. That’s where I found my love for performing. I dance because of the indescribable feeling it gives me. I dance because I love the happiness it gives other people. When I dance I forget about everything else; my main focus is to feel the movement and express what the dance is about. Dancing relieves me of stress and worry. It’s more helpful than silence and stillness. My dream is to choreograph a group dance with a storyline and a purpose. Dancing is a part of me that I will never give up on." "I’ve been dancing since I was ten years old. What sparked an interest for me was the Minds in Motion program at my elementary school. I really started to like being part of the XL Team, so I enrolled in my first official dance class (aside from when I was two), at Grace Arts. I took Jazz and Tap and I loved it so much that I kept going. At the time, I was also doing swim team. I eventually stopped swim to do dance all the time. Now I take two Ballet classes, a Jazz class, a competition class, Tap, plus dance at school, which amounts to about thirteen hours a week. My favorite dance style is either Tap or Ballet because I love making music with my feet and the beats but also the grace and structure of Ballet. " "My name is Taryn and dance is the way I express myself. I have been dancing since I was five, but in sixth grade, I had the opportunity to audition for the Binford Dance Company. I made it in and since then, have become serious about my dance training. Now, as a seventh grader, I have a passion for dance. Ever since I stepped foot in the dance studio, I knew it was the place to be. I knew I had a great second family. Ms. Perkinson, our dance teacher, is so warm, welcoming, and one of the best teachers ever. I don’t know what I would do without an excellent teacher like her. Dance has helped me in so many ways: physically, mentally, emotionally, and more. I never knew when I first entered the studio how many great things I would accomplish and I can’t wait to see what the future will have in store for me. " "I love dance so much, because I am free. No one can tell me I am doing it wrong, because I know if there is anything I am doing right, it is dancing. When I am dancing, it lets me show how I feel. When I was younger I was so shy and then when I danced it was like I was speaking to a million people all at once. Sometimes when I dance I feel like I am flying. You know how when you’re eating a bag of potato chips and you don’t want to stop; that’s how dancing is for me. Once I start, I never want to stop. I started dancing when I could walk and not at a company. I did not join a company until I was twelve. When I tried out for the Binford Dance Company, I was petrified. I didn’t try out my first year because I was a chicken. But, when I saw them dance I had to try out the next year and I got in. I was shocked! Now I am in the dance company and almost finished for the year. I love it and I think this is just the start of my adventure. " "I love dance because it helps me be myself. To me, dance is like a pathway to success. I first started dancing when I was four years old and fell in love with it. I love dancing so much that once I start moving, I can’t stop. It’s just amazing how I’ve grown into a strong thirteen year old dancer and artist. I love dancing because I love to entertain people and speak from my movement. Someday I hope to be a professional dancer or gymnast. I’m a self-taught gymnast and I incorporate gymnastics into my dances. I enjoy performing every style of dance and expressing myself. When I learn a dance, I like to make it my own. I hope to continue my journey and see what I can do next." "I guess I started dancing when I was really little. Mostly just dancing around the house. The first time I discovered “wow, dance is really cool” was in my fourth grade talent show. From then on, I have appreciated dance as a form of artistic expression. I have never taken formal dance lessons outside of school, but I hope to soon. I think the reason I love dance so much is that every style is so unique. I like Contemporary and Modern dancing, so naturally I try to see the Contemporary aspects of any dance. That is the main reason I love our dance company. We get to experience so much variety in each piece of choreography. My name is Casey and that is my dance story." "The reason why I dance is simple. I dance because I bottle up my feelings and dance allows them to be free. Dance has opened my eyes to things that I didn’t know that I could do. I love dance because it’s freeing and there is no wrong answer when you’re dancing in your zone. I’ve been dancing for eight years and it’s very dear to my heart. I dance with two companies which helps me to figure out my strengths and weaknesses. At first I thought that dancing was just Ballet, tights, and leotards; but it’s free, beautiful movement that is performed with style and grace. I have fallen in love with dance and will never stop." "I’ve been dancing ever since I was in fourth grade. I used to cheer and I thought that was my thing, but once I was in Minds in Motion I realized that I loved to dance. I dance everywhere: at school, at home, in the store, while I’m taking tests, etc. The thing about dance is that you can always find a new way to move. I love choreographing dances. I make dances for my Mom’s dance team at Overby-Sheppard Elementary called the HoneyBeez. When I dance I feel free and open, inspiration is everywhere. I like all styles of dance because you can learn something new and different from each one." "I started dancing my sixth grade year at Binford Middle School in Ms. Perkinson’s dance class. I have been dancing for three years now at Binford. For high school I will be attending Appomattox Regional Governor’s School for the Arts and Technology as a dance major. During my younger years I loved dancing (and still do) just for fun. I started to get serious about my dancing in sixth grade when I heard Ms. Perkinson started around the same age as me, and having seen all that she has accomplished. Dancing allows you to show a physical explanation or story of yourself or anything personally. I have heard people say, “I can’t dance.” No, it’s that you’re not dancing as people usually do, and that’s ok because you should always be yourself. Inspiring people like others have done for me will always be a goal of mine. " 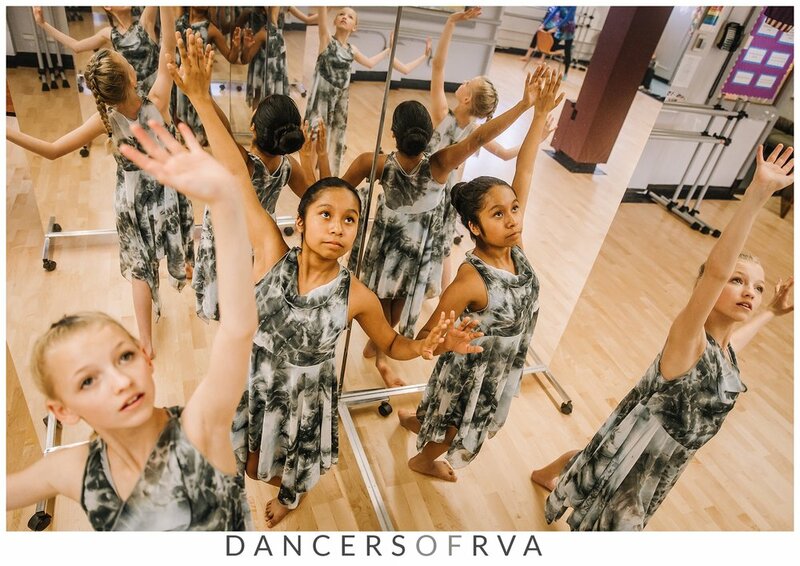 "I started dance at age two when I still lived in Maryland and then I continued dancing when I moved to Richmond with the Richmond Ballet. Through the Richmond Ballet I took Ballet, Jazz, and participated in The Nutcracker. I stopped dancing when I was in fourth grade and I took a “gap year” and switched over to synchronized swimming in fifth grade. When middle school approached and I was deciding what school to go to, Binford really spoke to me because of the Turnaround Arts program and the dance studio in the basement. I found it as a great opportunity to continue dancing! I really love dance because it’s a great way to express yourself and move freely. In dance, there are no boundaries and so many different types of dance that you can learn and explore. I’ve always loved performing and being on stage and dance is a great way to do that, while having a good time." "I love dance because it helps me express myself. When I am dancing I feel free to be me and I feel like I am my best self. I have been dancing for about eight years and I just love it. I am able to not hide and I can show the world who I am. My favorite type of dance is Tap. I can feel the rhythm in my bones. I enjoy it so much I even do it under my desk in school. I choose dance because it helps me to be myself no matter who tells me not to. I do like art and music but dance is by far the top. Dance is life. Dance is love. Dance is me and I am glad it is."